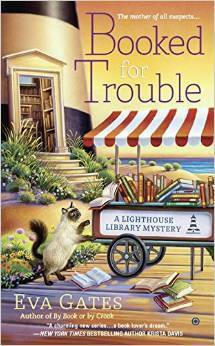 I have a half-read review copy of Booked for Trouble that I’m taking, and maybe a cozy mystery or two off the pile on my nightstand that keeps growing and growing…. Hopefully I’ll have something to review by the time I get back. Hope you have a great week, and happy reading! I have some of those books. 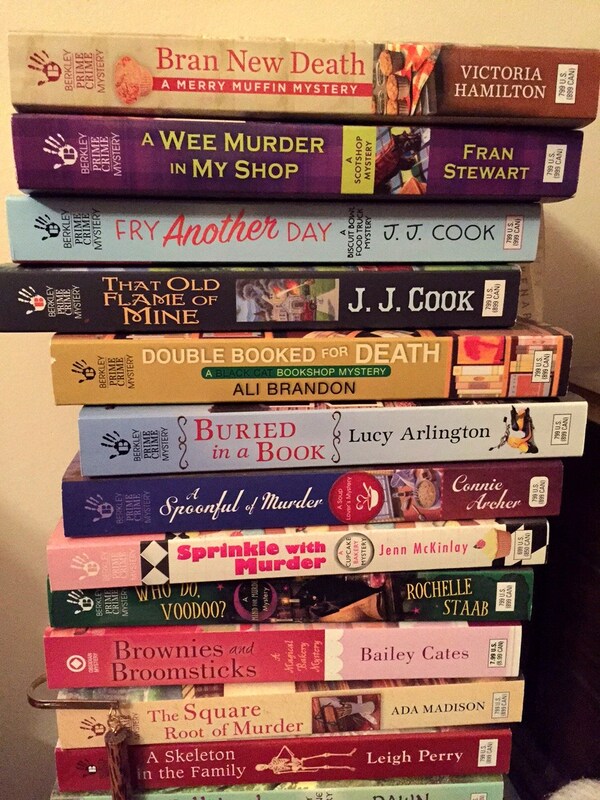 The only ones I’ve read, though, are Sprinkle with Murder, a Leigh Perry skeleton book, and what looks like a book by Dawn Eastman at the very bottom. I have Fry Another Day, three Connie Archers, three Bailey Cates, some Ali Brandons, and one by Ada Madison. Love the cover on Booked for Cover.